A study of the head of a rush with clusters of seeds like ears of corn breaking at the points, with notes beside it. Below is a study of the head of a rush with long leaves and clusters of thin curving seed-pods, again with notes beside it. The sheet is laid out in the same formal manner as many of Leonardo’s other scientific sheets. The accompanying notes - in Leonardo’s habitual mirror-writing -discuss the form and habitat of the rushes. 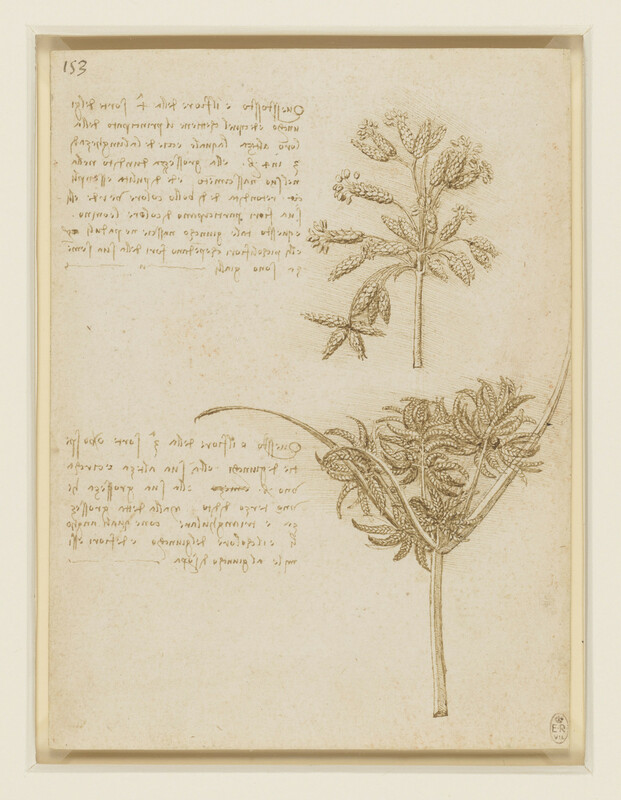 The names of the individual species were not known to Leonardo, who referred to them as the ‘third’ and ‘fourth kind of rush’.